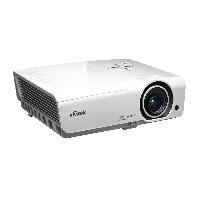 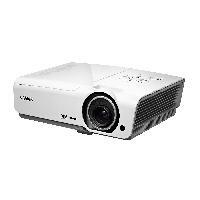 Featuring 4800 lumens true 1080p (1920 x 1080) native resolution projector, with Full HD 3D feature. 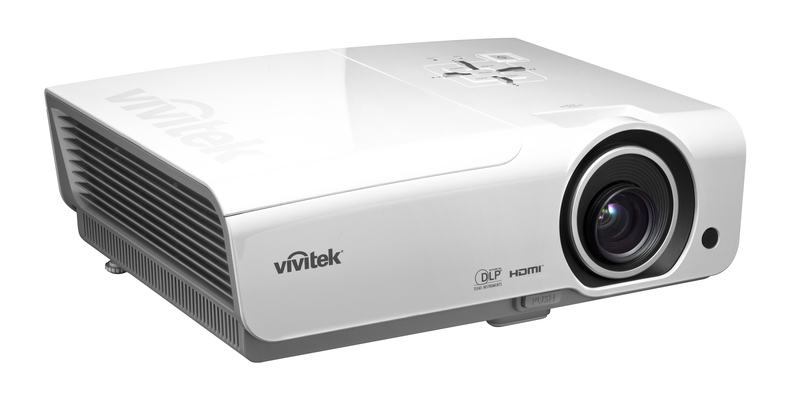 The Vivitek DH976 3D digital projector tilizes DLP® dark chip 3, BrilliantColor™ technologies, and 5-segment color wheel delivers impressive color reproduction and amazing performance. 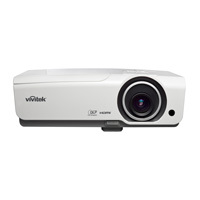 With new improved lens performance a built-in speaker, an assortment of connection options, including 3D sync, RJ45, and RS232c, the DH976 integrates effortlessly into almost any situation where a powerful projector is needed. 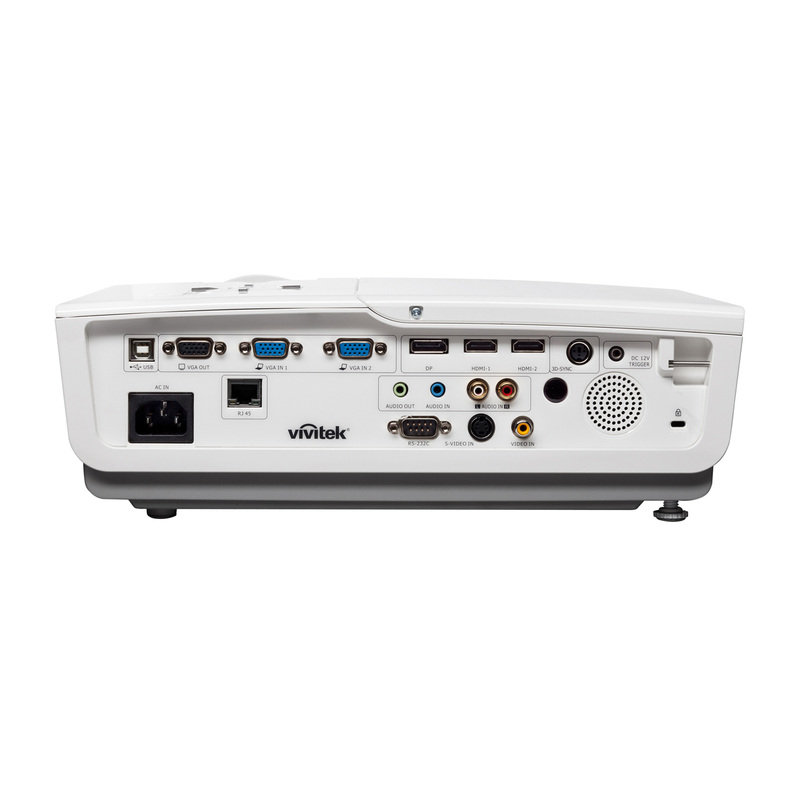 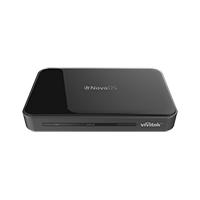 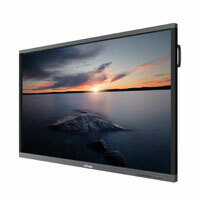 The Vivitek DH976-WT offers a variety of connection options: HDMI v1.4 (x2), Display Port, VGA-In (x2), S-Video, VGA-Out for monitor loop through, RCA Stereo-In, Mini-Jack Audio-In, 12V trigger for simple screen/projector automation, RJ45 and Rs232c for integration and system administration. 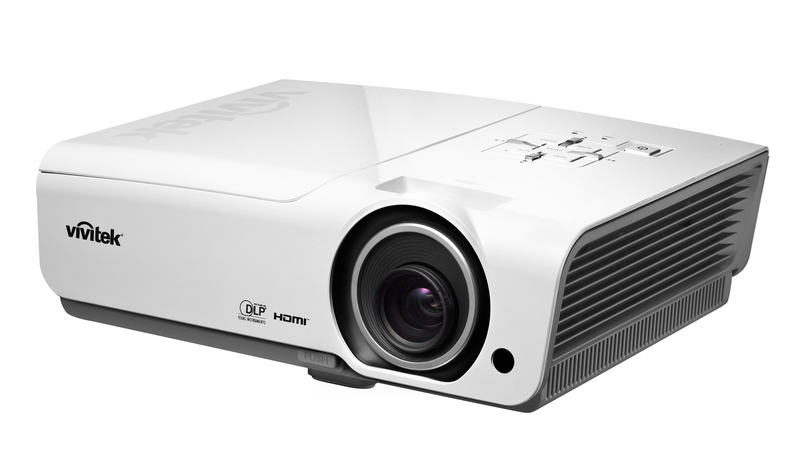 High 4800 lumens of brightness with a 15,000:1 contrast ratio. DLP® dark chip 3 and BrilliantColor™ technologies for sharp and detailed image quality. 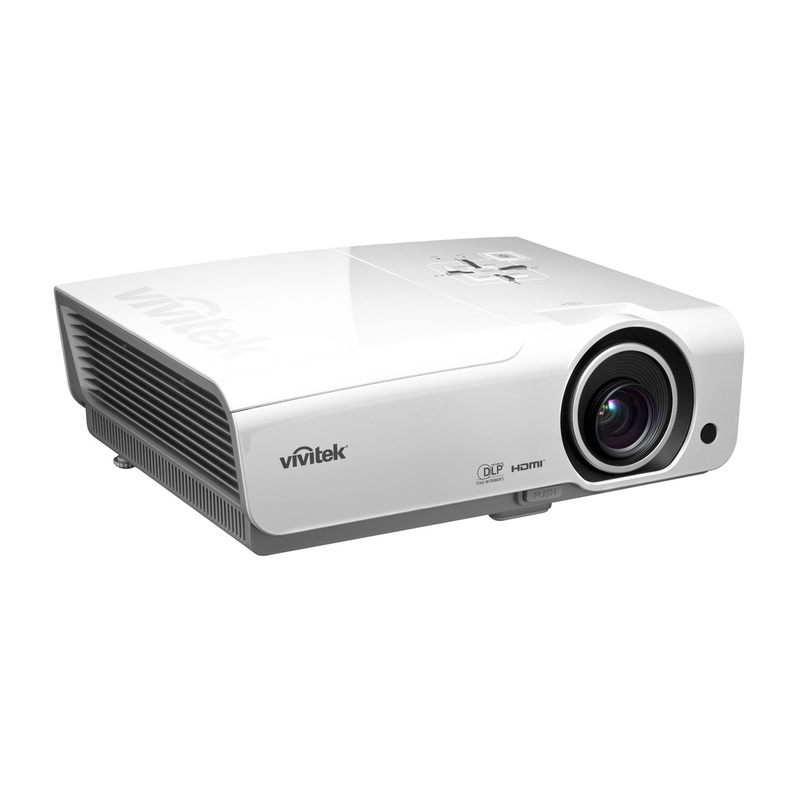 VividWheel III for improved color reproduction and automatic gain control. 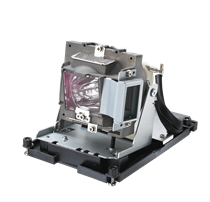 New efficient lamp offering up to 4000 hours of life. 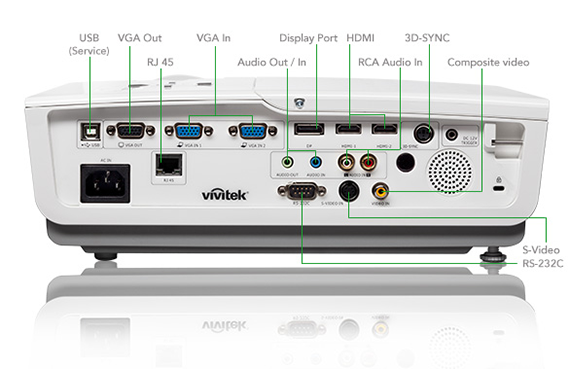 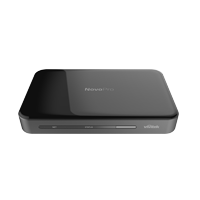 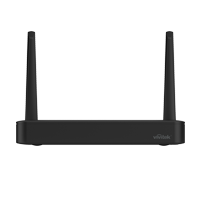 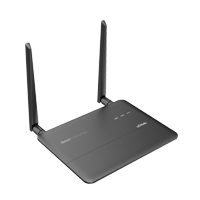 Connectivity options include: HDMI V1.4 (x2), Display Port, VGA-in (x2), VGA out, Composite video, S-Video. 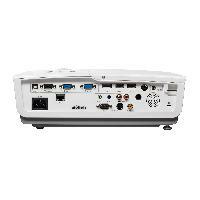 RJ45/RS-232C/RJ45 for integration and system automation compatible with Crestron, AMX, Extron, and Telnet. 12V trigger for somple screen/projector automation. 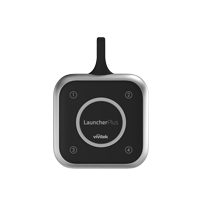 Top-loading, sliding cover for quick and easy lamp replacement. 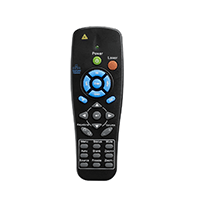 Keypad lock prevents accidental system adjustments.